Kirk Cameron. Kirk Cameron rose to fame because of his role as Mike Seaver on ABC’s family show Growing Pains. Cameron went on to marry his Growing Pains co-star Chelsea Noble, and he promised her that he would never kiss another woman. Kirk starred in Fireproof in 2008 and in the movie, he had a kissing scene with the woman who played his wife. The directors decided to work around this issue and were able to dress up his real wife and then shoot the kiss scene in silhouette. Surely not every director would be as happy to change their film based on this requirement, but Cameron made a commitment to his wife and it seems that he is determined to uphold it. Alyson Hannigan And Jason Segel. Lily and Marshall have become one of the best-loved couples on TV on How I Met Your Mother, but even a couple who has as much chemistry on-screen as they has had their own fair share of problems when it comes to their kissing scenes. It seems that Alyson Hannigan, who played Lily on the hit TV show, actually had a problem with the fact that Jason Segal smokes. Whenever Lily was forced to kiss her TV husband she said he smelled and tasted of tobacco, something that she found very off-putting. Kevin Hart and... The Rock. 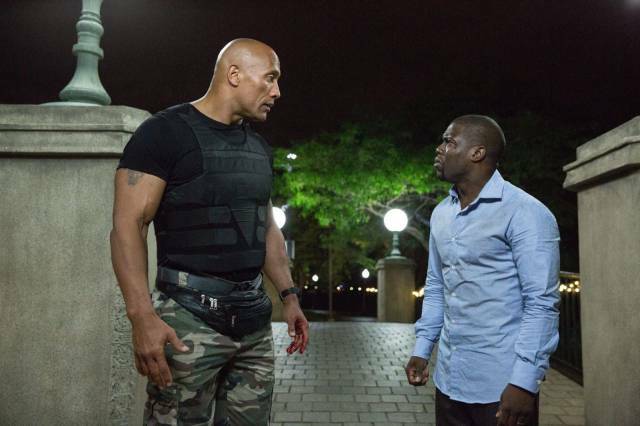 Hart was recently seen in Central Intelligence alongside The Rock, and the two actors were forced to kiss at one point. Even though Hart and The Rock were able to get their kissing scene out of the way, it seems that Kevin initially didn’t want to do it, but finally managed to get past his issues. It now seems highly unlikely that Hart will ever accept another movie of this type if he knows he will have to kiss another man. Brad Pitt. Brad Pitt has become one of the best-known actors in Hollywood over the past few decades. He has filmed his own fair share of love scenes, while dating a number of different actresses. It seems that Brad’s entire outlook on life changed when he married Angelina Jolie. Since Brad then declared that he wouldn’t be part of any more make-out sessions on-screen out of respect for his wife. While on the set of The Curious Case of Benjamin Button, Brad initially refused to kiss the stunning redhead who had been chosen specifically for that scene. The director David Fincher was stunned, and many of Brad’s fans assumed that Angelina was the reason Brad hadn’t wanted to, since he didn’t want to cause any issues at home with his wife. Brad obviously decided to kiss the girl in the end, but these were the first signs that his marriage to Jolie was beginning to unravel. Vanessa Hudgens And James Franco. Vanessa Hudgens rose to fame as Gabriella Montez in High School Musical, where she became well-known for her make-out sessions with her real-life boyfriend Zac Efron. Following the success of the Disney inspired musicals, Vanessa has been cast in a number of other movies, including Spring Breakers alongside Ashley Benson and James Franco. Vanessa seemingly wasn’t too impressed with the fact that she had a scripted kissing scene with Franco. In an interview back in 2013, Hudgens’ confessed that she didn’t like having to kiss her co-star and that she would rather kiss a girl all over again than have to kiss him again. To be fair to James, his character was quite an oddball, so the kissing scene was never going to be a generic one. Perhaps if the two were cast in a different kind of movie together in the future, then he can prove that he was just playing the part. Neal McDonough. 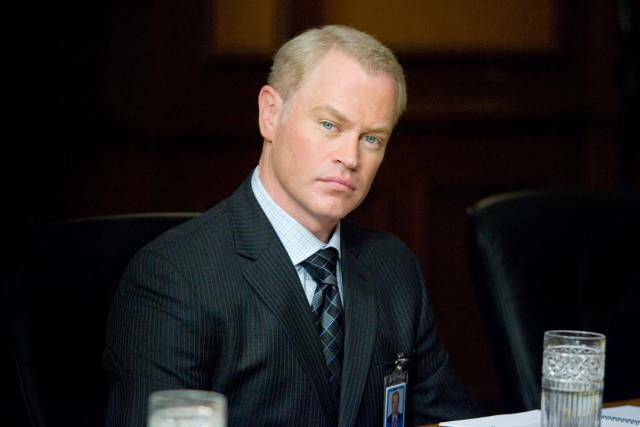 Neal McDonough returned to TV on Desperate Housewives back in 2008, where he played Edie Britt’s husband before he was killed off the show the following year. Neal then went on to star in ABC TV show Scoundrels, but he wasn’t part of the cast for very long since he was later fired from the show for refusing to film any of the love scenes. Neal is a married man with three children and he thought that taking part in such scenes would clash with who he is. Eric Stonestreet And Jesse Tyler Ferguson. 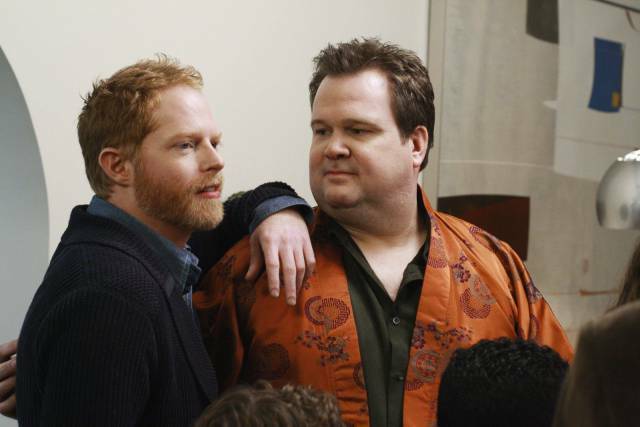 Eric Stonestreet and Jesse Tyler Ferguson are one of the reasons why Modern Family became such a popular show a few years ago. Despite the fact that Eric isn’t gay in real-life, the two manage to make their marriage look believable on-screen. Following the first season of the show, fans noticed that Eric and Jesse were married on the show but had never actually kissed on-screen. It was said to have been because Eric was straight in real-life and he wasn’t prepared to kiss a man on-screen for the first season. It seems that Eric was finally able to get over this and the couple later went on to share a number of on-screen kisses. Carey Mulligan And Johnny Depp. Despite being part of the acting business for a number of years, it seems that Carey Mulligan is still just like the rest of us and gets somewhat starstruck when she is cast alongside actors that she is a fan of. 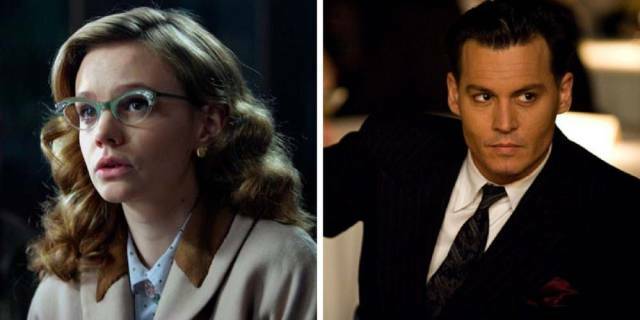 This is exactly what happened to Carey when she was cast alongside Johnny Depp in Public Enemies. It seems that Mulligan was so overcome with her admiration of Depp that she was unable to deliver on a number of scenes in the film and was so anxious when it came to the kissing scene that it took her 16 times to get it right. Even then it seems that most of the scene was omitted from the film because she was unable to maintain her composure and the scene didn’t seem to work as well as the directors thought it would. Just goes to show that actors are only human too. Julia Roberts again. This time she was the one to reject her partner. 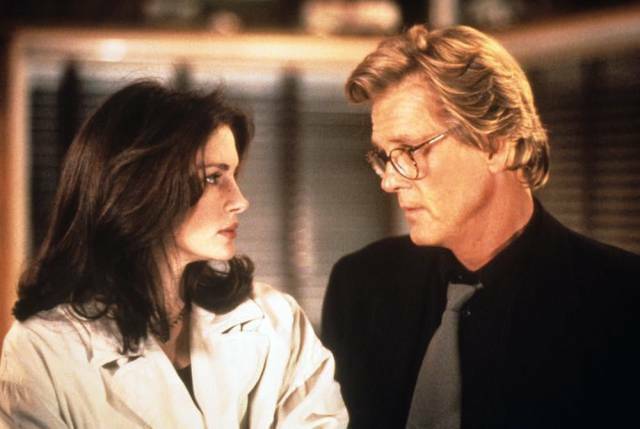 Julia Roberts and Nick Nolte both starred in I Love Trouble. As far as on-screen chemistry goes, the couple completely tanked but off-screen the tension between them was said to be unbearable, which made the working conditions too hard to handle at times. The two had a number of issues working together throughout the film and it reached the point where they were forced to film their scenes separately because they just couldn’t be around each other anymore. Their on-screen kiss was the thing that Julia dreaded the most and was happy when it was finally out of the way. The two haven’t worked together in the two decades that have followed, but it seems that he left a lasting impression since Julia still occasionally mentions him in interviews as one of the worst people she has ever worked with. At least Nolte is a lucky man knowing he will never have to kiss Roberts.